Ram and Ford have both unveiled their latest heavy-duty pickup trucks and now it’s GM’s turn to strike back. 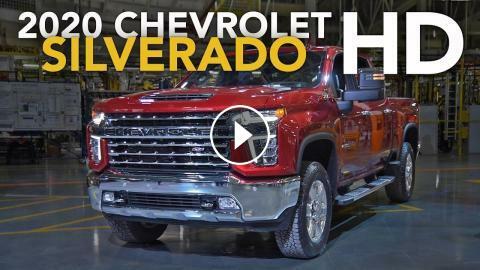 The bow-tie brand rolled out its redesigned 2020 Chevrolet Silverado HD at the factory where it’s built in Flint, Michigan. It's design is outrageous, but do its features justify the bold new look? ACDelco's Restore and Ride Challenge - Can Steve's 2010 Chevrolet Silverado Lead Him to Victory?